1. What is your school affiliation and what year are you? What is your major (if declared)? I am a sophomore in the Global Liberal Studies program with a concentration in Politics, Rights, and Development. I’m choosing between History or Spanish as a second major, and looking at minors in public policy. 2. You started your time at NYU studying in Washington, DC via the Global Liberal Studies (GLS) Program. What inspired you to study in DC? Choosing my site for freshman year took weeks, and I changed my mind several times. I eventually settled on DC because it’s close to my lifelong home in southeast Pennsylvania while still offering an entirely different living experience than I’d ever had, and because of the internship opportunities in politics. 3. How was your experience in DC? What was most inspiring, surprising, or rewarding about your time there? What did you find challenging? I had just spent the summer taking classes in New York, and assumed that DC would be somehow less vibrant or memorable. Before moving there my only experiences in DC had been elementary and middle school field trips to the Capitol and memorials, or short meetings with smarmy Pennsylvania representatives. I dumbly thought that there was not much more to the city than its government and bureaucratic aspects. The most rewarding part of living in DC was gradually throwing out that mindset by getting to know and respect the different neighborhoods, locals and longtime residents, and distinctive parts of the city. I spent the spring semester interning for a Council member on the DC government, which involved frequent trips around the city, daily conversations with constituents, and a working knowledge of local problems. That internship helped me get to know DC even more and introduced me to many of the people who live and work there. 4. Were there any significant or memorable experiences during your year in DC that you would like to share? At the time I was interning at the DC government, the staff was finalizing a program that the Council member had created early in his term called Books From Birth. The program provided a free, age-appropriate book every month to any child in the city, delivered to their door. The goal was to help the city’s children grow their vocabularies and increase their interest in reading, while also encouraging more interaction between parents and their kids. One of the first events that I went to as an intern in the office was the kickoff for BFB. I met parents who had signed up as soon as they heard about the program, some of whom had never been able to read with their children due to illiteracy or lack of resources. There are over 5,000 children enrolled in the program now. To see simple policy have a real effect on the lives of local families help reaffirm my views on government. Michael (at the front with a coffee and bandage on his arm) and fellow volunteers. 5. 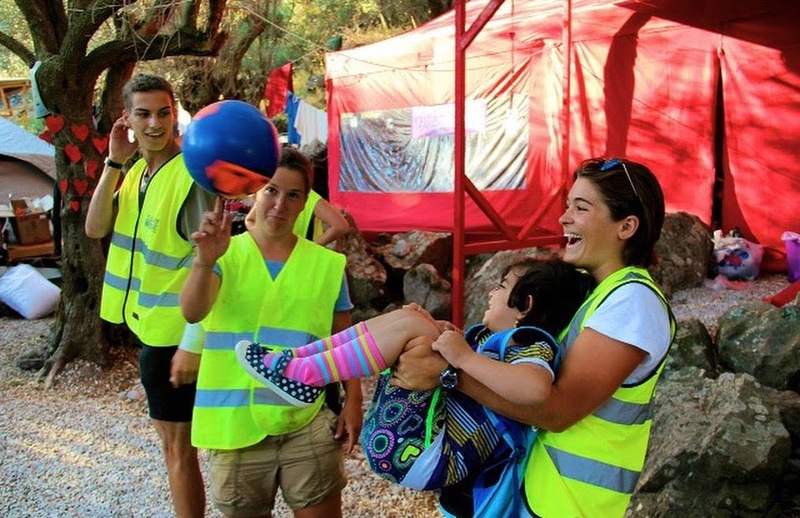 I understand that this summer you have been volunteering in Lesvos working with refugees. How did you come to do so? At the end of the spring semester I started looking for independent volunteering opportunities related to the refugee crisis in Greece. I searched online for a while and talking with more experienced volunteers on a Facebook page for all volunteers in Greece. They guided me through the bureaucratic parts of international volunteering, e.g. age requirements set by the Greek government, registering with local police, and informed me about the current situation in different camps and cities. Through this I found out about Lighthouse Refugee Relief. Lighthouse is a Swedish organization that operates two refugee camps on the mainland and one transit camp on Lesvos, which meets incoming boats and helps the arriving people recover from their journey. The organization also works to clean the beaches of Lesvos, which are littered with deflated dinghies, clothes, shoes, trash, and other debris. I completed their online humanitarian training, got a flight to Mytilini, and planned to be on the island for around five weeks. 6. What did your volunteer work involve? Can you describe the experience overall? I chose to live in the transit camp, which is a free option for any Lighthouse volunteer. When the camp is not in use by arriving asylum seekers, we used it as our home. I kept my pack and sleeping bag in the massive tent that female refugees changed in after arriving on the beach, and slept on the floor next to some other volunteers. Others chose to sleep in the men’s changing tent, the children’s clothing tent, and so on. Over the course of the month I moved from my original spot to a tent, then to a spot under a tree on the hill above camp. When I arrived, the main focus was the beach cleaning effort. The group of volunteers was small, around seven to ten people. We woke up early, hiked for1.5 hours to the beach we were then working on, and went to work cutting up the boats and collecting the debris. The boat material is used by another organization as material for bags, jewelry, and other items. On the days we could secure a skipper of fisherman to pull our dinghy from our camp around the coast to the beach cleanup site, we would spend the day loading the dinghy with all the collected trash and taking it back to town, where we processed it and left it for the local trash services to pick up. Shortly after I arrived, boats from Turkey started to arrive more regularly. Skala Sikamineas, the town I was in, is a popular landing spot for boats coming from Turkey because of its proximity. From Skala, you can very clearly see details such as trees and mosques on the Turkish coast-it’s only a five kilometer distance. I joined a landing team. We were responsible for hearing the alert from local authorities that a boat was arriving over the radio, quickly and methodically packing a camp car with food, water, clothes, diapers, and such, and going to meet the boat as it hit the shore itself or was escorted into the harbor by Greek authorities, Proactiva (a search and rescue organization), or Frontex (EU border patrol). After making sure that the people had the resources they needed, we escorted them to our camp. Volunteers not on the landing team would have prepared the camp for full service by the time the refugees arrived. We then served tea, provided bathrooms, and encouraged the people to rest as much as possible before continuing onto the next refugee camp, where they would register with Greek authorities. The adults usually took the chance to sit or lie down; the kids were usually too excited to do so and preferred playing soccer with the volunteers. After a short time buses would arrive to take the people to the next camp. We helped the authorities with this step by making sure to keep families together and trying to spot any possible cases of human trafficking. Every landing followed this general pattern. On my very first one, the boat we were meeting had gotten through the coast guard unspotted and as such had landed on its own at a tourist beach just east of camp. We rushed there to find the people relaxing on the beach, the adults calling home to share the news of their arrival and the children splashing in the water, jumping off the sides of the dinghy. There were some mothers clutching their infants in the shade, eagerly accepting diapers and crackers from the volunteers. Playing with the rescued little girl. At a landing later in the month, a fellow volunteer and I got into an energetic game of soccer with a three-or-four year-old girl who had just arrived in a dinghy on the beach right outside camp. We ran around with her while her parents relaxed at a table in the center of camp. She lightened the mood more than any volunteer could have, simply by laughing and smiling at everyone. When it came time for them to proceed to the next camp, the girl reached down, picked up the ball, and walked to the bus with a grin. Meeting her in camp was one of the highlights of my time in Greece. A few days after she passed through, we got news that a small boat heading for the southern coast had sank undetected. It was eight hours before a search and rescue team found them. Six people drowned, including a four year-old girl. For weeks I couldn’t stop picturing the girl from camp over and over in my head, thankful for her safe arrival and heartbroken by the fate of the other. Her death was a sobering reminder to all the volunteers of our responsibilities on the island. During this time, we generally fielded one boat per day, usually in the early morning. Several months before, the scene was much more grim. Hundreds of boats arrived daily, carrying thousands of asylum seekers. The international organizations and humanitarian groups had not arrived yet; local fisherman became the search and rescue teams that pulled children out of the water in the dead of night after boats sank, and bar owners converted their spaces into field hospitals if the situation called for it. I now know many of these people personally, have heard their harrowing stories, and consider them the true and earliest heroes of this crisis. 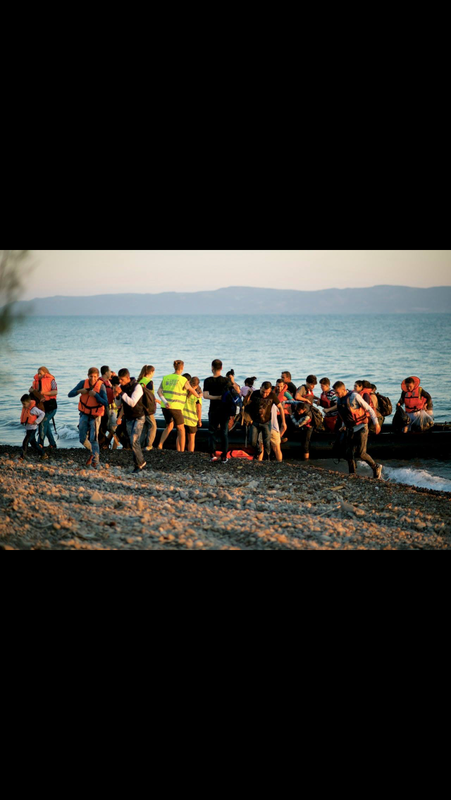 Despite their efforts, over a thousand people died in the Aegean Sea between Turkey and Lesvos. The situation may return to the dire levels of this past winter in October, as the president of Turkey is threatening to open the borders and allow two million more refugees to make the journey if the European Union does not grant visa-free travel within the EU to Turkish citizens. About two weeks into my time on Lesvos, I started spending three or four evenings a week at a nearby camp for unaccompanied, male minors who had made the journey from Turkey to Lesvos. The boys were from Pakistan, Afghanistan, Syria, and Iran. In their camp, the job of Lighthouse volunteers was simply to play sports, paint, talk, and generally be friends with them. We were there as lightning rods for their endless energy. Each time I walked into the camp I tried to predict if they’d choose to completely wear me out through basketball, soccer, or the inevitable hybrid of the two. I struggled for a week or so to find my place in the camp. I was the volunteer closest in age to the boys, who were mostly between fourteen and eighteen, and found it difficult to ignore the injustice of the situation. We were similar in many ways besides age; we had siblings to talk about (in their beginner English and my embarrassing attempts at Farsi/Urdu/Arabic) and show each other pictures of, homes that we loved, many of the same hobbies and interests, and so on-the biggest difference, obviously, was that I had not been displaced by war, had a passport with a seal on it that allows me to go virtually wherever I want, a future of certain education and probable success, and had not lost friends and family to violence. After a week or so, we found ways to ignore this divide and form friendships that have lasted past my return to the U.S. I learned a few days ago from the camp manager, a woman from Save the Children, that all of the boys have been relocated to safe shelters in Athens. Getting off the island is a huge step in their journey. 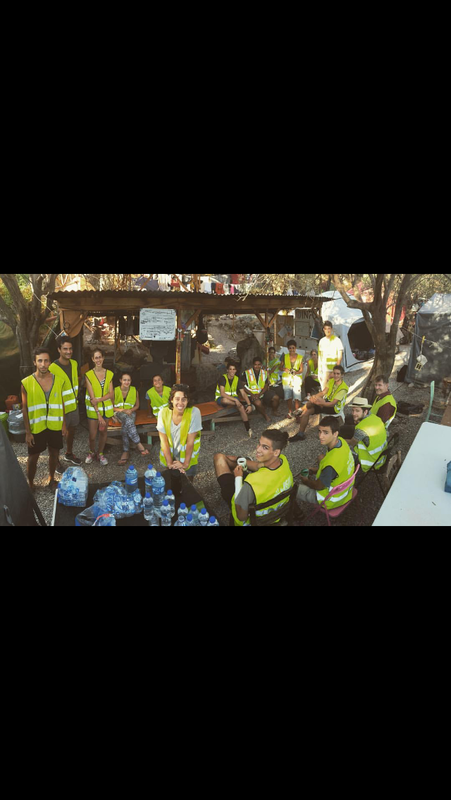 Soon after she sent the notification to the volunteers, I started to see the social media flurry on my accounts from the boys-selfies on the ferry from Lesvos to Athens, group shots in cafes in the city, and the like. I am extremely happier for them, but that happiness is tinged with knowledge of the reality of their situation. Many asylum seekers have made it to the country they hoped for, only to be greeted with racism, violence, political fury, and discrimination. 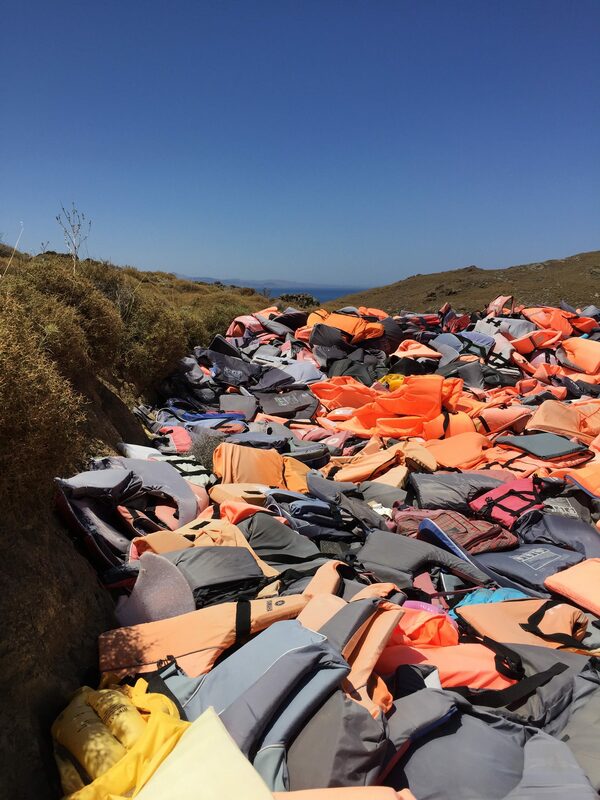 The graveyard of life vests. 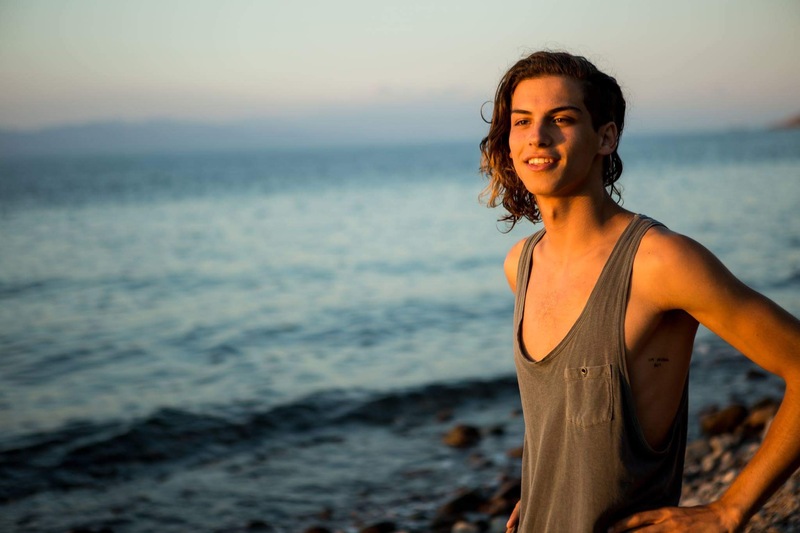 After returning from Lesvos, I’ve had the time to reflect on my month there. I see it now as a perfect and horrific symbol for the refugee crisis- a place where the desperation of the war-stricken and impoverished places around the world meets the relative opulence of Europe and the West; where refugee boats land next to sunbathing French tourists and people drown just a few thousand meters from Greek resort hotels and hot springs. It is very much a frontline of the refugee crisis, like Italy in the Mediterranean or the border between Spain and Morocco. Being there revealed the failure of the West in responding to this crisis. 7. Did your time in DC and / or your connections with the GLS and NYU community contribute to wanting to become involved with in Lesvos and personally take action in relation to this international crisis? GLS, being a global program, helped orient me outwards towards crises that I cared about instead of looking to stay stateside. It most influenced my decision to go to Lesvos by showing me the importance of having firsthand experience in crises such as this one. I think that in the same way a federal politician should experience local politics first, anyone looking to work up the ladder needs experience at the first rung. This is why I interned at the DC government instead of applying to federal offices. As someone who might have a career in humanitarian work or international relations, I recognize the importance of being a volunteer. It informed my position on the crisis and added a human element to it, which is impossible to feel from the West. I gained an immense respect for asylum seekers and the people that try to make their journey easier. 8. What are your plans – academically and personally – for the remainder of your time at NYU? I’m currently in the process of starting a student club that will provide free tutoring to refugee families settled in the New York metro area. I am hoping to get the help of the International Rescue Committee, which helps these families with education, employment, housing, and cultural adjustment, for this effort. Academically, I will be looking for areas of study that allow me to focus on human rights, issues of refugees and asylum, and crisis response. 9. Have your experiences in DC or in Lesvos influenced how you are thinking about your future studies or career? If so, how? At this point, I am looking for internships in humanitarian organizations such as the IRC, Save the Children, Amnesty International, and some others. My ideas for possible careers are all geared towards humanitarian work. I’d like to keep working at the bottom of the international humanitarian organizational structure for now, which will allow me to be directly involved on the ground in areas of crisis. This entry was posted in Students, Washington D.C.. Bookmark the permalink.